If you’re prone to allergies or irritations, our Feels Like Down Super Soft Duvet may be the answer. Filled with 100% Microfibre, this cosy duvet boasts the softness and loft of Down while being anti-allergy for a healthier nights’ sleep. 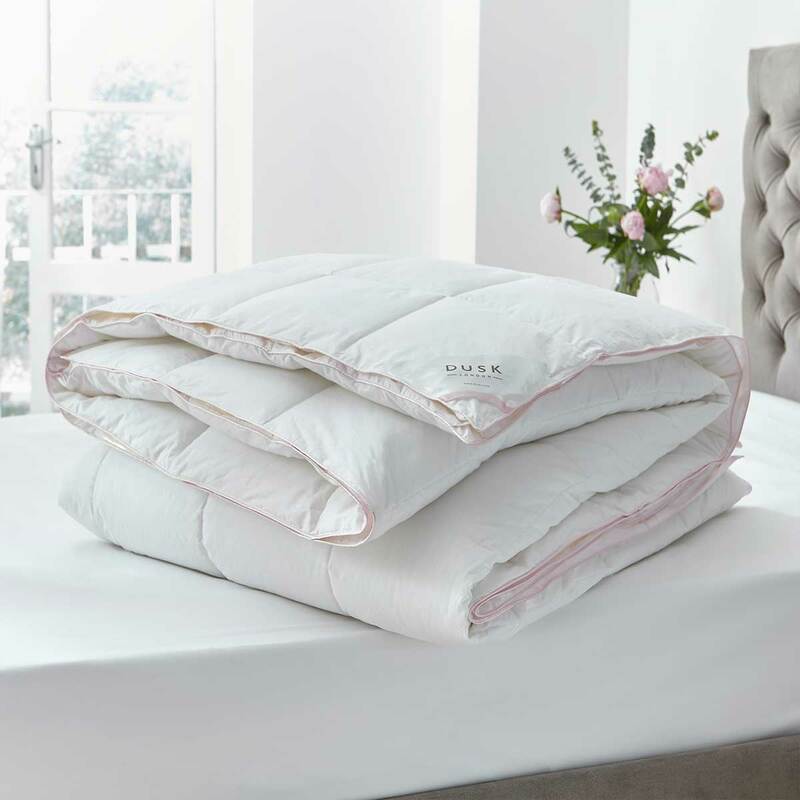 A high-quality duvet with synthetic Down-like Microfibre makes an incredibly breathable duvet perfect for keeping you cool in the summer and warm in the winter. Encased in crisp cotton percale, the luxurious duvet is completed with a baffle wall structure, ensuring your new duvet has an even distribution of fill for long-lasting heavenly comfort.